The letter G is sometimes a difficult letter for kids to remember because sometimes it has a soft G sound like in giraffe, but it can also have a hard g sound like in goat. 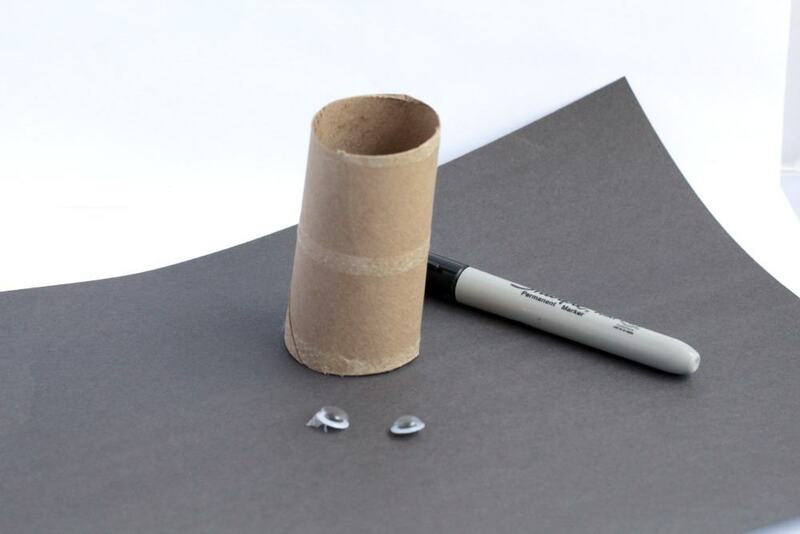 This fun G is for goat toilet paper roll craft helps kids remember the hard G sound for words like goat, goal, gorilla, and many others. 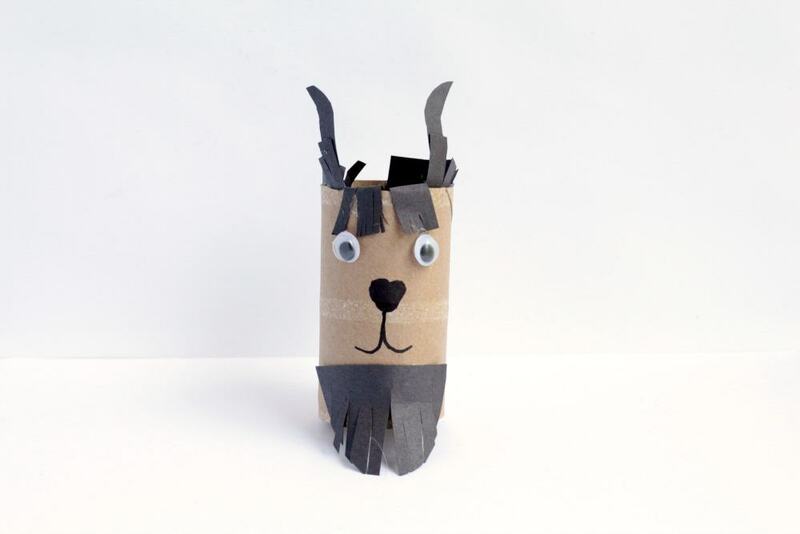 Kids will love putting together this easy goat craft and there is little prep ahead of time. Use this craft when learning about the letter G, during G week, for daycare units, preschool, and kindergarten. Before we begin, here are a few books that I recommend to help you teach the Beginning Sound Letter G.
Remove any bits of paper from the roll. 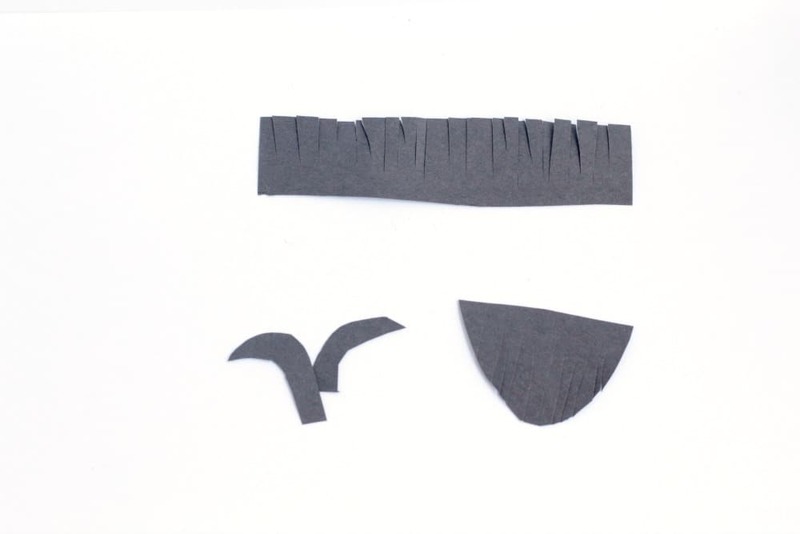 Cut out two horns, a strip of paper about 2 inches wide and 6 inches long, and a little beard from black paper. Cut a fringe on the long strip of paper and the beard. 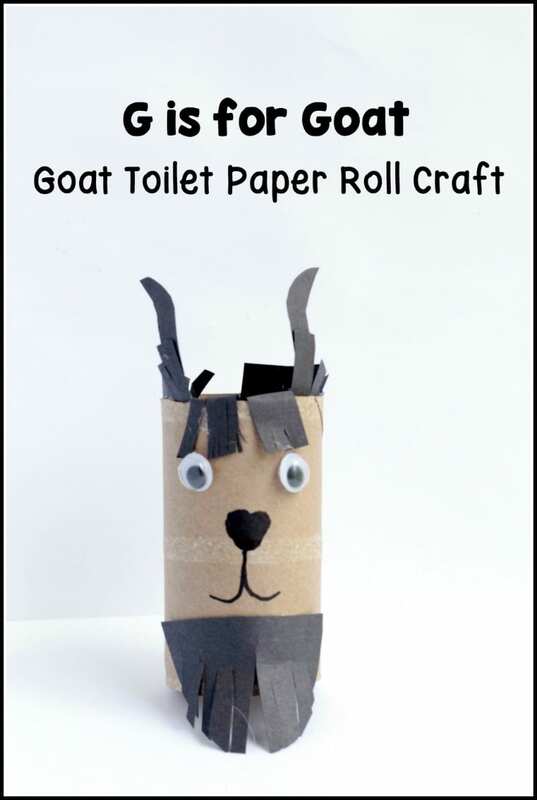 Glue the googly eyes to the toilet paper roll to make the goat’s face. Draw a face below the eyes. Glue on the beard to the bottom of the toilet paper roll. Glue the hair inside the top of the toilet roll and glue the horns to the hair. Fold the hair however you like to look more realistic and glue in place. Wait for the glue to dry and the goat is done! While the kids are doing this craft, have them state other words they can think of that start with the hard G. There are a lot of words that start with this letter once they start thinking about them!